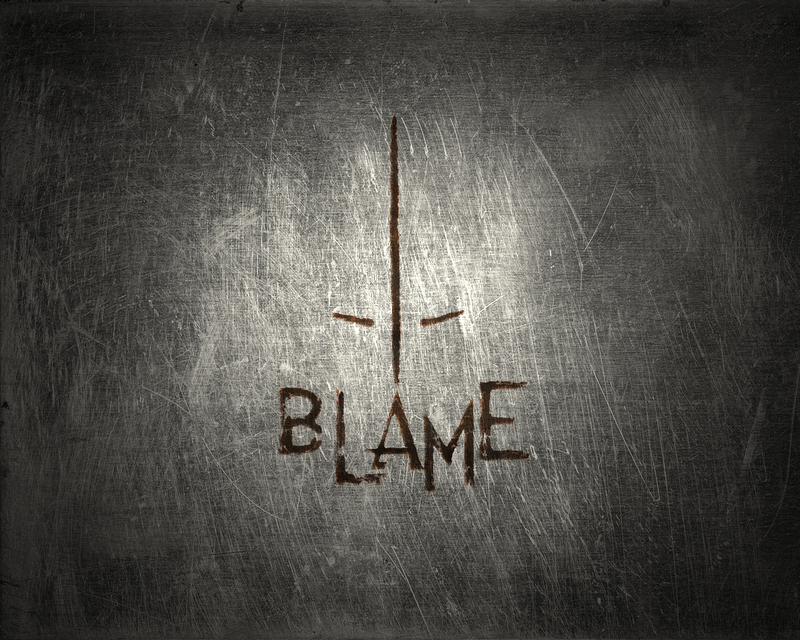 After reading A widows Journey to life blog – Day 686 - http://awidowsjourneytolife.blogspot.com/2016/03/day-686-revisiting-blame-realizing.html I decided to take a look at the word BLAME for myself. Blame – this is quite a Big word for a small word, I find that this word has not been in my vocabulary much, in terms of looking at myself and this reality. I find that when I see this word it has become a LIVING as who I am – I will for instance not say – I blame you, you are to blame, they are to blame, I will use different words and speak sentences that becomes BLAME towards someone or something, and even worse, I actually then behave and act BLAME – but I never say the word Blame, speaking it. 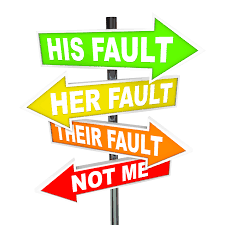 assign responsibility for a fault or wrong. responsibility for a fault or wrong. Those are two simple definition, one is giving blame and the other is taking Blame. My word Play with Breaking it up and sounding. OK so before I get into it – this word I find is a System word, meaning it shows a System/construct – but I do not find within it a sounding or wording that can be lived from it as a correction, as a word that I can or want to implement to LIVE, as it is literally just lame to blame, so I will deconstruct this word so that I can Identify within my speaking and behavior where I am living the word blame and to then correct myself from there within implementing a new word to live, thus changing my speaking and thus my behavior/patterns/habits. 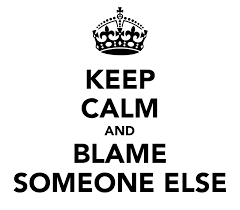 Blame refers to the past, we can’t really blame something or someone for things that hasn’t yet happened, so the first question is, why do we want to BLAME? Is it to be Lame, to dis-empower ourselves, because the word Lame in itself exist and has a specific meaning. make (a person or animal) lame. "somebody lamed him with a stone"
So through Blaming are we throwing stones at ourselves? When we believe within blaming that we are somehow empowering ourselves, because all I can see one gets from Blaming is, is to sound good, sound right, sound reasonable, sound just, have Logic – all those points are required to blame – yet when we do that we totally dis-empower ourselves and do not even slightly look at ourselves, in fact, we create a specific Veil that forms around us when in the process of Blaming that even the people that are being blamed seem like the Blamer is on the right side. which is what a Blamer wants, they do nt want to be show how they are responsible equally and created the cause and the effect that led to blaming. BUT – what does blaming expose about a person or self? When you blame the fact is you need a lot of evidence to proof your blaming, so when I or you come forth with BLAMING it only reveals something about myself or yourself, that we sat on the side and we watch everything happening in front of us and we did absolutely nothing and expected those who are doing something to do exactly what we wanted, yet never stood up to participate, which shows one thing, the Blamer is only speaking up when it is to late, and thus the blamer, self NEVER acted or did anything to prevent, starting with themselves, and thus when a person is Blaming, they are speaking from an Observer perspective who wanted something specific for themselves but wanted others to do it, then it didn’t happen, so here the blamer become someone that only exist as knowledge and information that as that point in time when blaming takes place, all the knowledge and information is useless, because it was needed before the blaming started not afterwards. 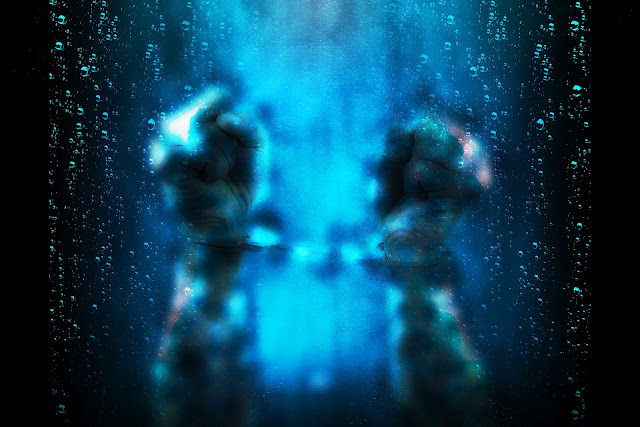 I am covering a lot of dimensions, I can see there are many levels of blaming on how to cover this word, so I am placing it in general, where I can take this information to my own relationship I have with myself, with others, with the world and see the creation of Blaming and how it is actually showing the LAMENESS – to be lame, and to be lame can either be since Birth (which we all are, because of brainwashing and how we are educated) or if we have the brains we simply decide to Lame ourselves and place responsibility on others, so we are essentially throwing stones at ourselves to not be able to move/direct/speak common sense within self-honesty in the moments when it is needed and to not let it become BLAME = too late. So the correction is Self-responsibility and to not make the focus OTHERS but self-First always as the correction – I will place a Video Link in here of a Hangout I did on Self-responsibility. Here I am taking on the word Personal – where it is currently existing within and as me from and as a system definition. Where Personal has become personal to ME. So when we take a look at the current definition that we are all living as Personal, here is a dictionary definition for you and me. - of, affecting, or belonging to a particular person rather than to anyone else. 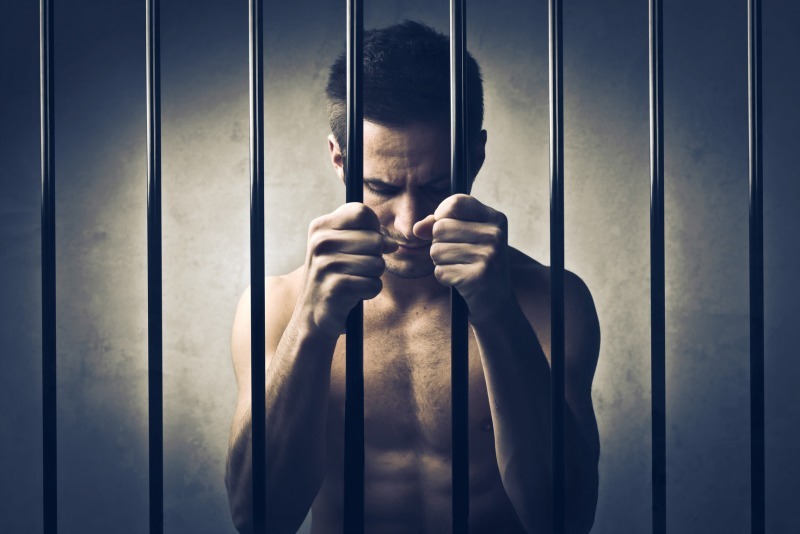 - of or concerning one's private life, relationships, and emotions rather than matters connected with one's public or professional career. - the aspect of someone's character that is presented to or perceived by others. It is quite fascinating because here I can see how I have lived a certain personal lifestyle where everything is about me and my personal – and within that I have created a Persona, which others are perceiving me with, and I also have come to LIKE this persona, in fact throughout my life I have lived to actively advertise my personal life as to create a certain persona as to feed the EGO. The part that I have never lived, which is also in the word Personal, is once again hidden in breaking up the word and playing with the sounds. Personal should be “Person ALL” – a person that lives for ALL – where one moves from the personal to the ALL/LIFE – it is fascinating to see how this one word hold the system/mind living of the word in the word and yet also have the reverse process/correction within the same word, the key to live the word in the correct way that is best for all life. So now how to take this word and to physically integrate this word into and as me, to become a LIVING word as who I am, where I stop the personal and start living as a person that lives for ALL, this one words takes on all og me, every aspect of me – as I have defined myself and all of me throughout my life as Personal to ME, I never considered to live and consider things for ALL as who I am as my actions, my words my life. So the first question I am asking myself now is, should there be something that is personal? Well to investigate this point for myself right here and now, I must consider all, everything – and looking at my body, looking at what is here, NOTHING belongs to me, nothing is personal to me, not even a single cell in my body is mine, not the air I breathe Is mine, not even the food I eat is mine, everything return to substance/life, so what is personal? How have I lived this personal as such an absolute within myself, within my life, yet the physical is always showing me that nothing is personal, nothing is just for ME as mine. Everything belongs to LIFE. How come all my life have I made everything about me and my emotions, my feelings, my thoughts, my experience, my life, everything was about me personally. When someone says something to me that I don’t like, I take it personal, how do I take it personal, where does this personal GO? Do I have a little bank somewhere in another dimension where I collect everything that is personal to me, what I have as belongings, what I experience, what I react to or take personal? So that I can do what with it? What is the point of taking things personally? To take things personally my ego gets hurt? Thus my self-value is hurt? What I personally have on this earth as material things determine how my ego feels? How I define myself? What is the point of personal? Did I just realize that I wasted my life on something that makes no sense yet I lived it as an absolute thing? I mean it makes way more sense be a person for ALL/Life this is living in a way where what I do is “giving” instead of collecting or hording, may it be material things or mind/emotional/feelings/thoughts that results in nothing as who I am as a being/life– and instead live to give, as my giving will be to life. So that’s all good in theory and to really set up the word new for myself – person-ALL – so now every time I see myself focusing on “personal” I can identify that I am within a persona, I am within EGO, I am within self-interest, I am in the Prison/person that can only focus on itself and have limited capabilities to look at LIFE and to act and direct myself, the thinking of focus of “personal” is very limited – but when I expand myself in those moments from persona to person for All I remove the inner and I expand as the outer to include all that is HERE, in breathe.